Welcome to your Tuscan home, Agriturismo Belagaggio, a glorious hotel created from meticulous stonework dating back to the 18th century. Enjoy a relaxing reposino (nap) afloat in Belagaggio’s sparkling pool. The spacious guests suites provide a welcome respite from your delicious days cooking and sightseeing. Belagaggio’s nonna Ada is an ebullient teacher who shares her special pasta al forno recipe that is a favorite of all our guests. Nonna Antonella reveals her family secret for the lightest, most flavorful stuffed zucchini blossoms you’ll crave for days. There are many ways to relax on the beautiful Belagaggio grounds. You arrive in to Montefollonico through the Tuscan countryside, perfectly positioned between Rome and Florence. Tuscany is like nowhere else in Italy. This is the Italian countryside of your dreams; sun streaming down on golden fields, lush olive groves and magnificent vineyards tended by the multiple generations of the same family. Many of Italy’s most famous recipes were created here in these family’s kitchens, lovingly passed down from one nonna to the next. Treasured Chianina, the snow-white cattle that produce the succulent bistecca alla fiorentina roam these fields. And the award-winning wines of Italy are made from the Sangiovese grapes grown here. 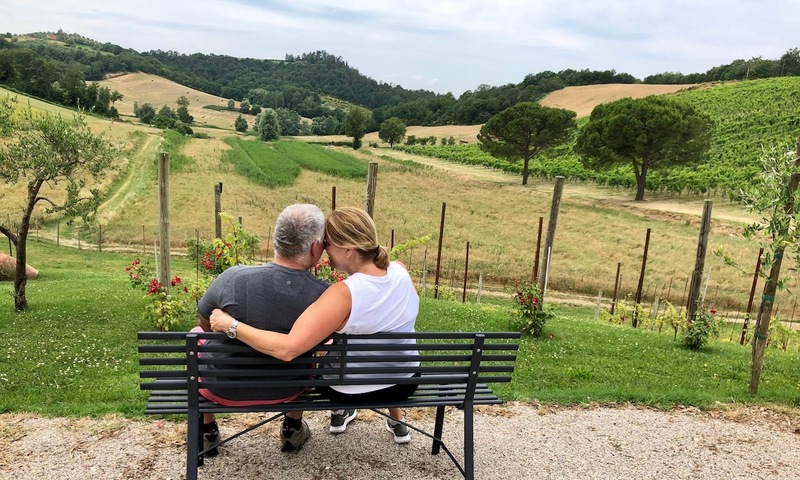 Nowhere else in Italy will you find a calmer pace, true farm-to-table cuisine, more picturesque views and warm, welcoming families. 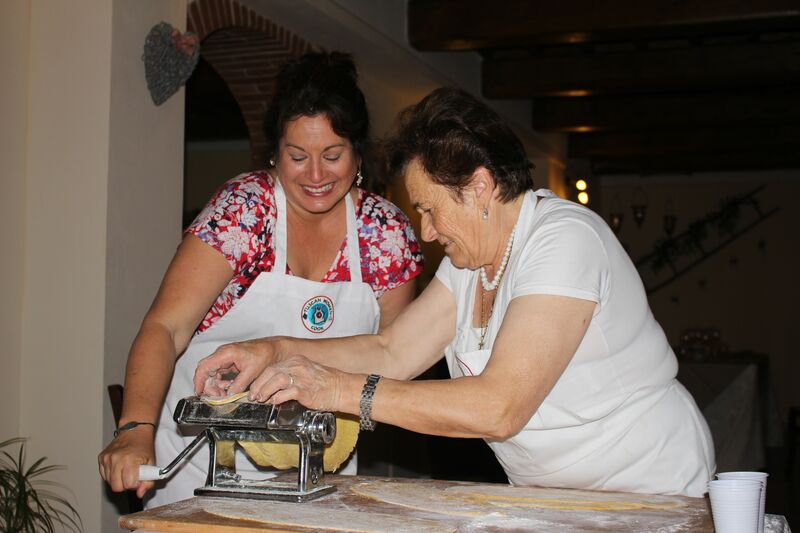 Tuscan Women Cook is proud of our deep relationships forged with the residents of Montefollonico. We’ve been here since the year 2000 and feel deeply connected to this community. The warm welcome our guests receive from the residents and the personal ties we have with the very best vintners, restaurateurs and of course our cherished nonnas, gives our guests unparalleled, exclusive access to a true Italian culinary experience. Tuscan Women Cook guests stay in the Agriturismo Belagaggio, located in the Val d’Orcia, an evocative and magical place. Nestled in the hills of the charming medieval village of Montefollonico, Belagaggio boasts breathtaking views of the Tuscan hills, villages, olive groves and vineyards. Belagaggio is a short drive away from Montalcino, Montepulciano, Siena, Cortona and Pienza. Expertly renovated in harmony with its architectural and environmental features, our guests will reside in modern, spacious suites built from reclaimed stone and brick, dating back to the eighteenth-century. 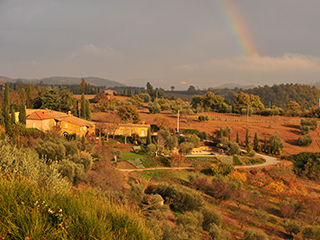 The grounds of Belagaggio feature prolific farmland, friendly goats and a peaceful duck pond. You’ll enjoy a relaxing riposino (nap) at the solar-heated swimming pool and spa after your cooking and sightseeing adventures. Our guests will begin each day with abundant breakfast buffets with both sweet and savory selections freshly prepared in the farmhouse kitchen from organic ingredients grown right on the property. 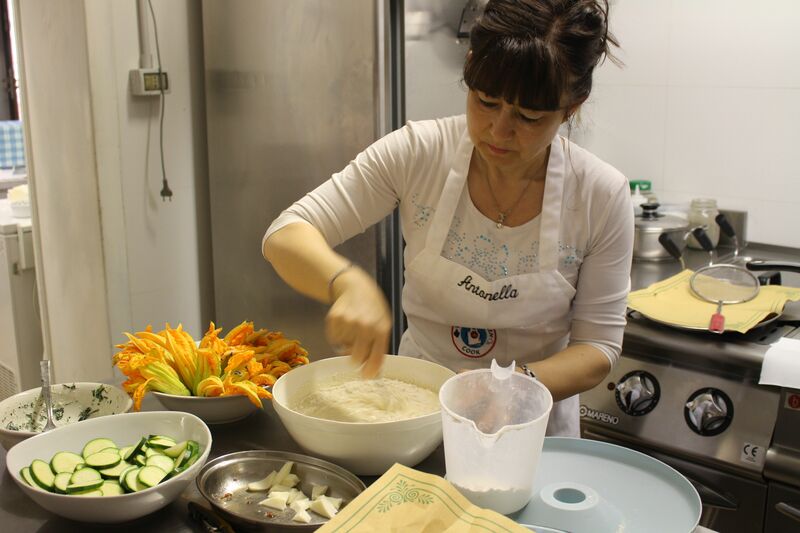 Cooking classes with their nonna Ada are amongst the most popular of the week. Here you’ll learn how to make her famous pasta al forno and her memorable tiramisù. Belagaggio also produces their very own extra virgin olive oil, which is available for guests to take home as the perfect Tuscan souvenir. Benvenuto. Welcome. We’re confident you’ll feel right at home here in the heart of Tuscany. Learn the magic of Italian wine with fellow guests who will be friends for life. 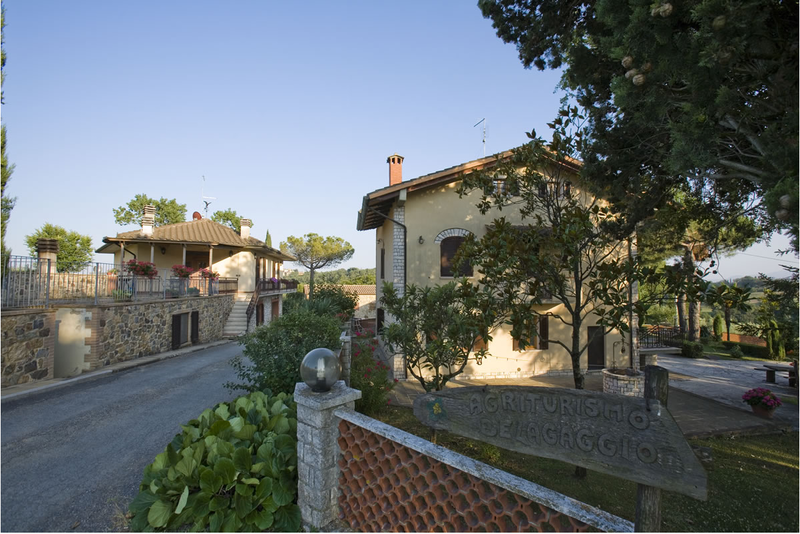 Everyone dreams of life in a Tuscan villa, surrounded by acres of olive groves and vineyards. 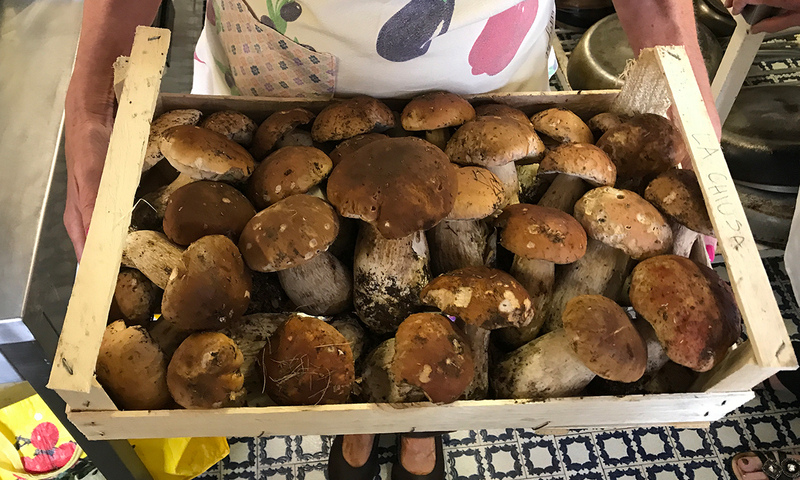 The rich soil surrounding Montefollonico produces some of the best porcini mushrooms in Italy. 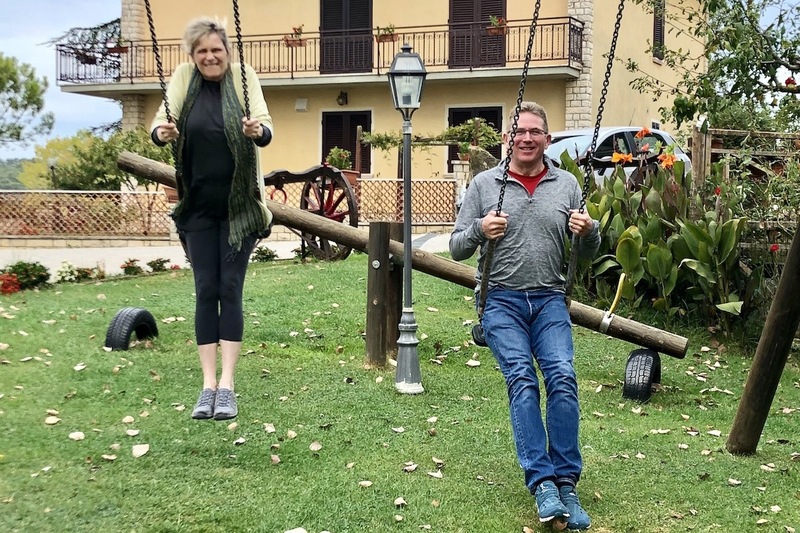 Jeff Miller from Travel Channel’s Trip Testers came to Tuscan Women Cook last fall and took over Travel Channel’s Instagram for the day!